Cold breeze in the -ber months? That means that we already know that the most wonderful time of the year is right around the corner. 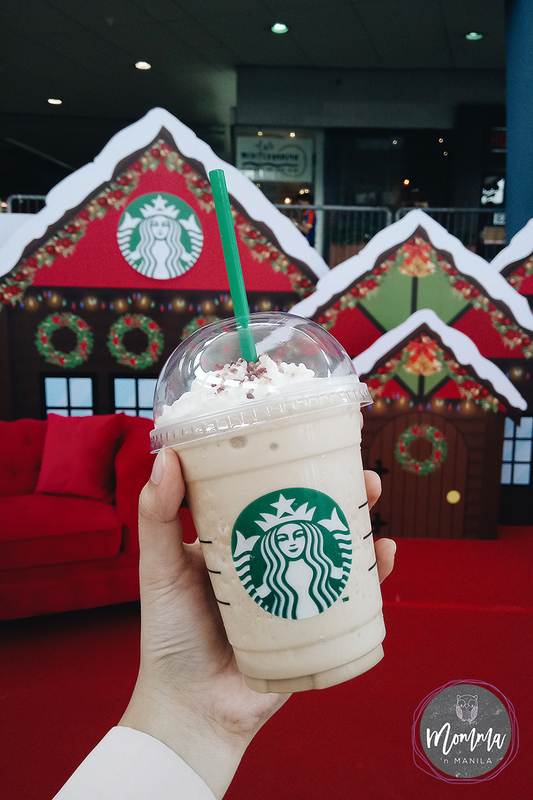 Last October at SM Mall of Asia, Music Hall, special guests were given a chance to be one of the first to take a sneak peak of Starbucks specials for this Christmas and for 2019. 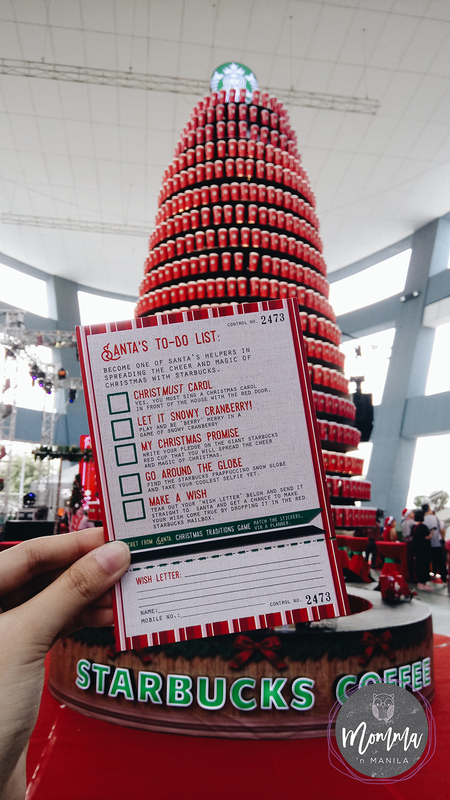 As guests entered the event area, they were given “Santa’s To-Do List” so they could participate in fun games and booths throughout the venue. 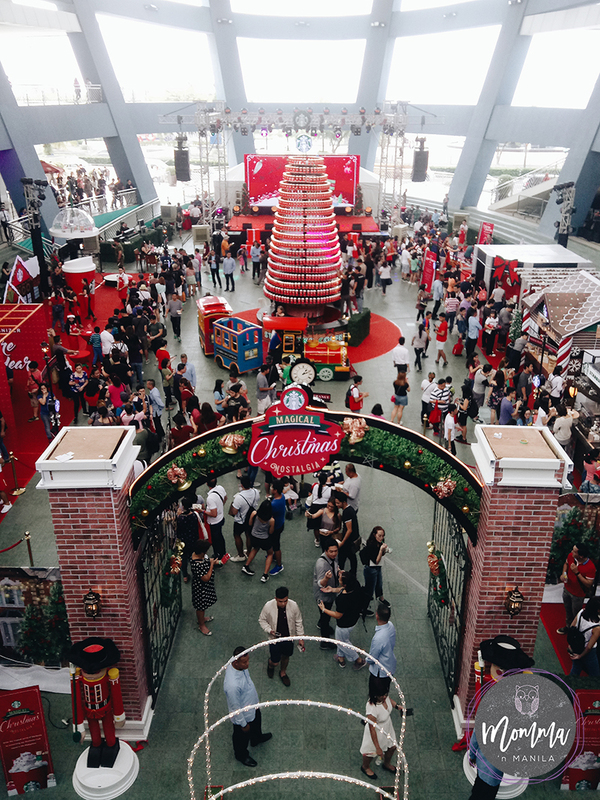 Guests were invited to sing Christmas carols, play games, and given a chance to write their very own Christmas promise on a giant red Starbucks cup, capture the holiday memory with their Snow Globe 360 photo booth, and write Christmas wishes to be put it in a mailbox. Everyone collected and completed the stamps to enjoy a prizes when finished. The entire event was truly filled with magical Christmas nostalgia! Now if you are a Starbucks enthusiastic, (like me) reading the phrase “collect and complete” will definitely excite and invigorate you. It was during this event that Starbucks Philippines publicly released their 2019 Planner and travel organizers. 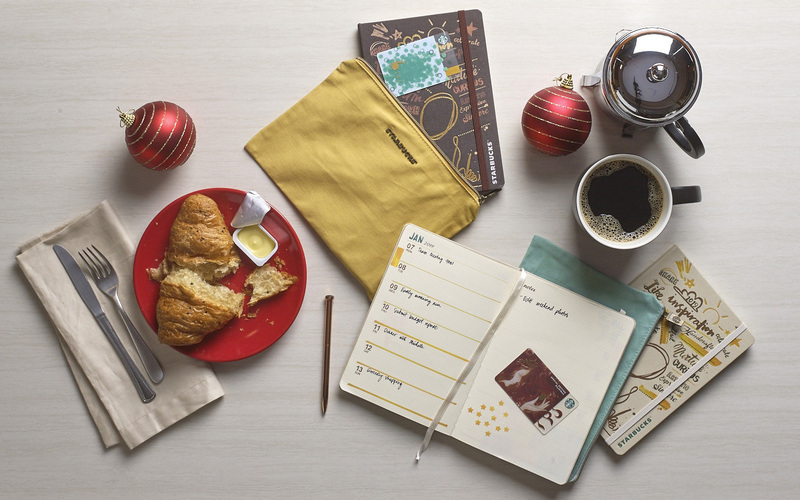 The 2019 Starbucks Philippines Planner comes in 2 colors; Espresso and Milk. 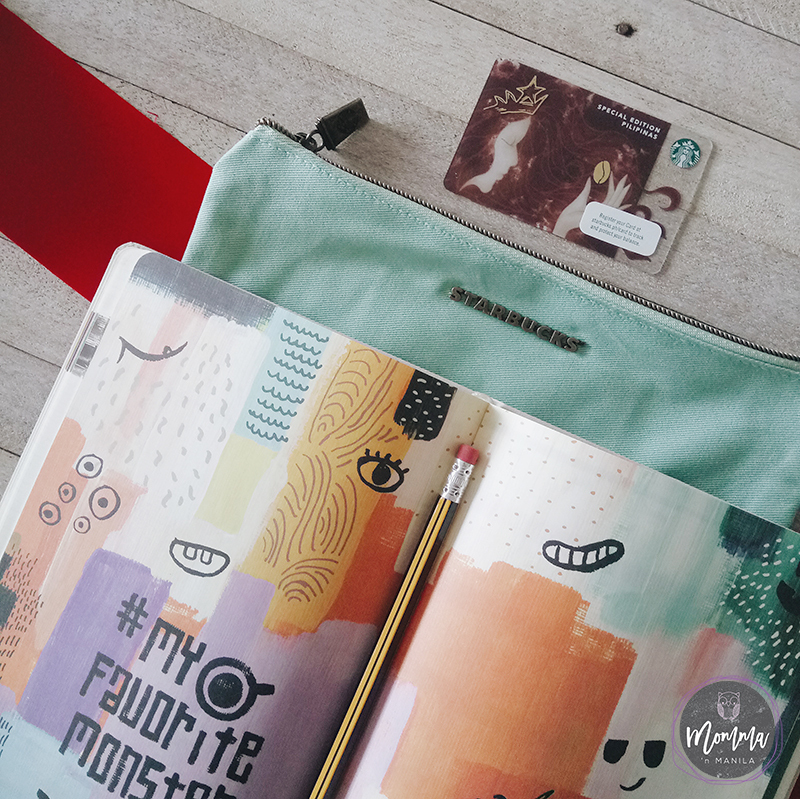 Each cover features a canvas finish with metallic gold and copper stamping, comes with beverage Vouchers, Canvas Pouch, and a limited edition Starbucks Card. Each page has me imagining my bucket list for 2019. 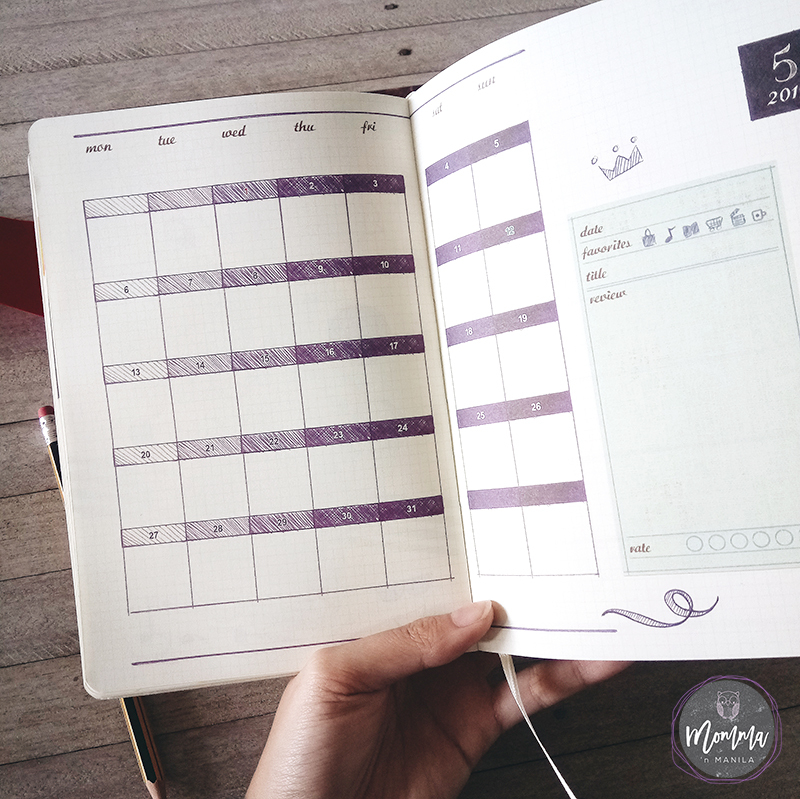 Every month is planned in different colors, and the beautiful illustrations will inspire you to a crafty and productive new year. Also released were the new 2019 Starbucks Travel Organizers. 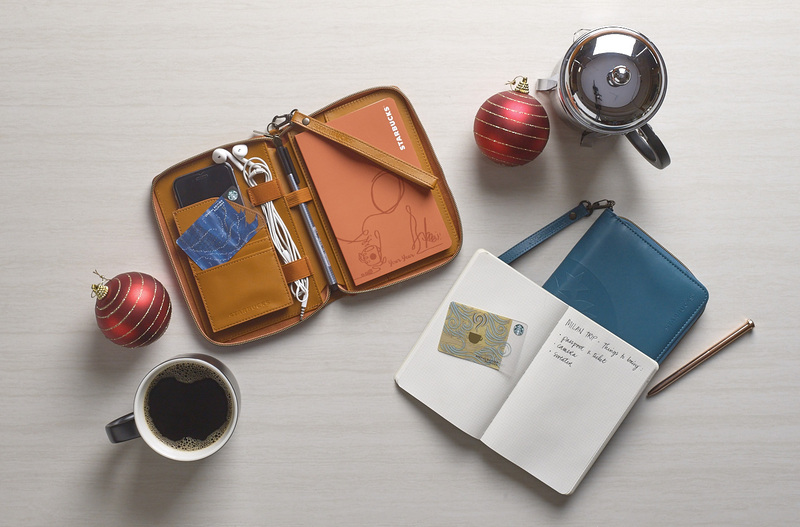 These new addition to Starbucks Christmas Tradition is available in 2 colors; Dark Teal and Sienna, both with a leather-finish. The travel organizer features a slot for a phone, cards, and cables. It also has a mini journal filled with blank, grid and bullet pages for you to write or draw. This too, comes with a Special Edition card. Both of the planners and travel organizers have a corresponding Starbucks card. If you are a collector of cards, then you have a lot to check off your list. 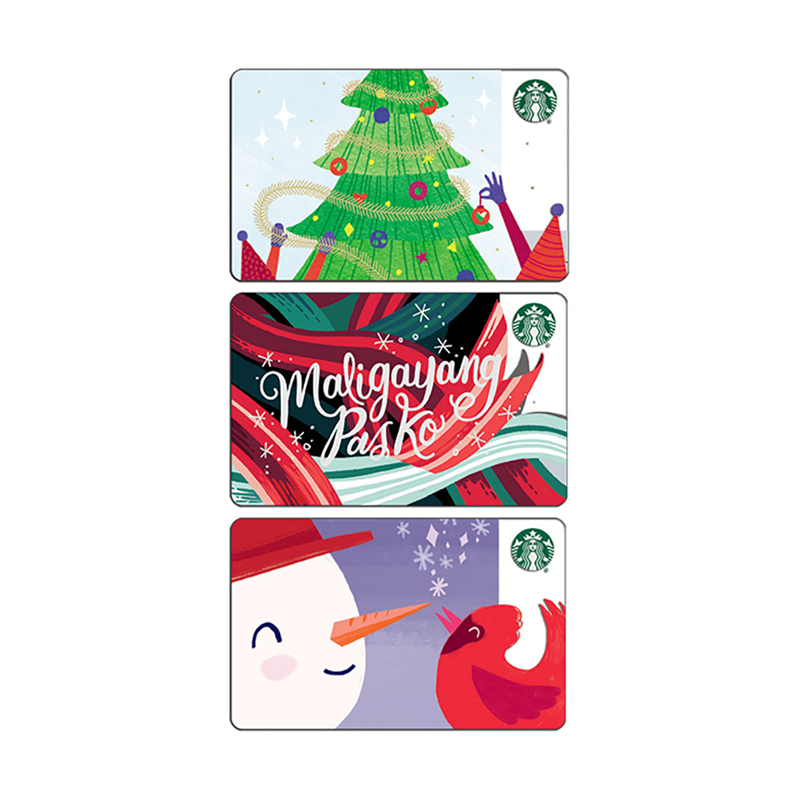 The Maligayang Pasko card is a special card because there are only three translations for the holiday greeting. The other two is Merry Christmas and Feliz Navidad. 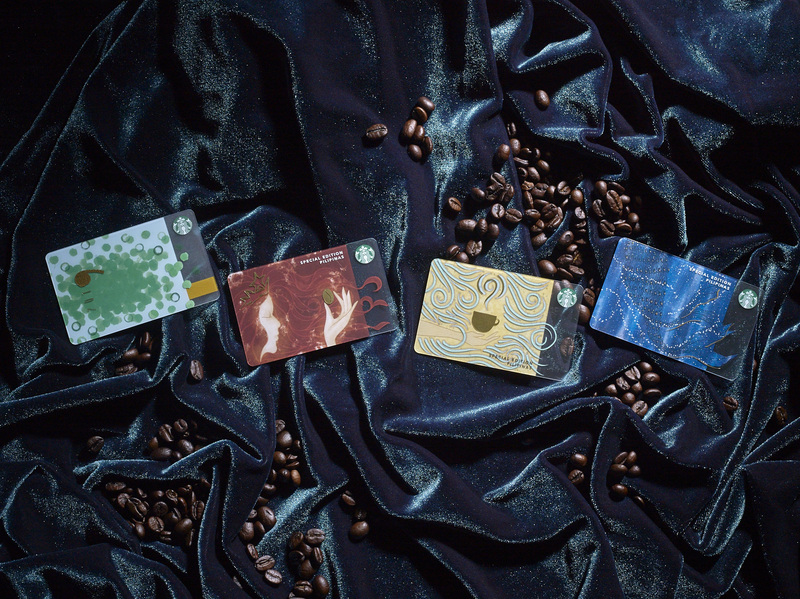 Same drill as always: Purchase the initial activation amount worth of 300 PHP to acquire each card. 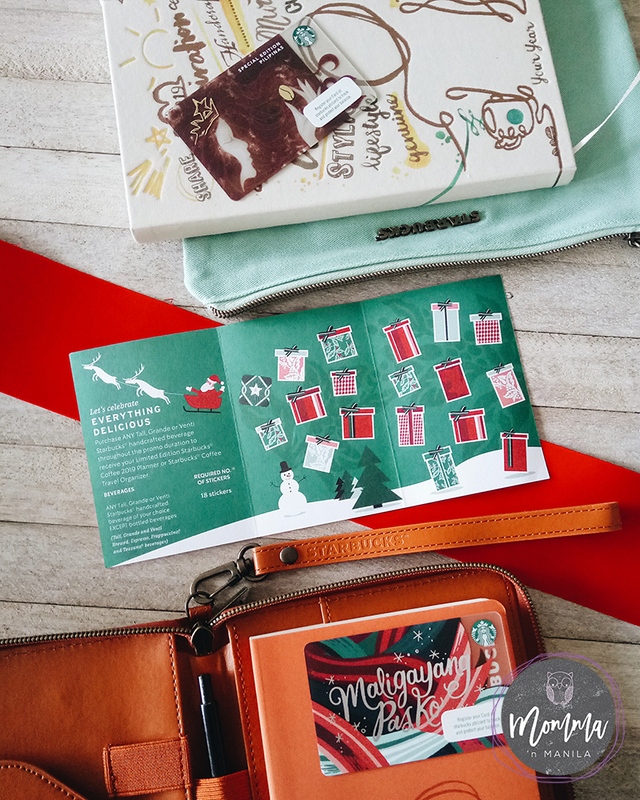 To receive your Limited Edition 2019 Starbucks Planner or Travel Organizer, purchase ANY Tall, Grande, or Venti Starbucks Handcrafted Beverage of your choice (EXCEPT short size and bottled beverages) for 1 sticker. GUYS-this is a big change in the way we collect our stickers. You can get your stickers by buying ANY drink, for credit, just as long as it’s the right size. Stickers may be collected starting November 2, 2018 to January 7, 2019. You can also use the Starbucks Philippines mobile app for your E-promo card, specially if you often forget your stamp card. Remember: No stamp card, no sticker! This signature espresso drink is combined with steamed milk and a toasty white chocolate sauce. It’s topped with whipped cream and festive cranberry sugar sprinkles. It may look like a regular Starbucks frappe but when you get to sip those sweet cranberry sprinkles, it tastes just like Christmas! 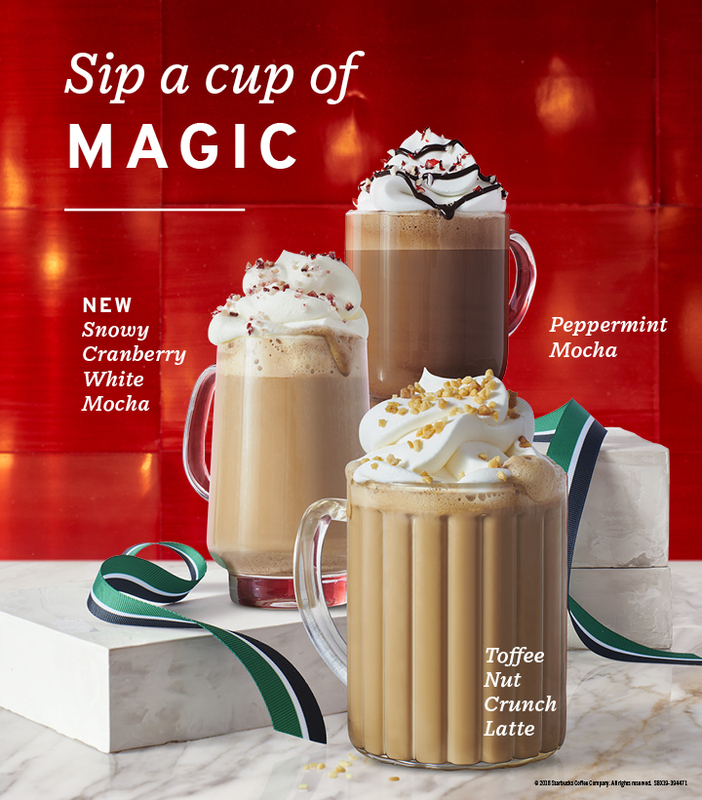 The usual suspects in classic holiday form are back, including Toffee Nut Crunch Latte (Tall ₱175; Grande ₱190; Venti ₱205) and Peppermint Mocha (Tall ₱175; Grande ₱190; Venti ₱205). 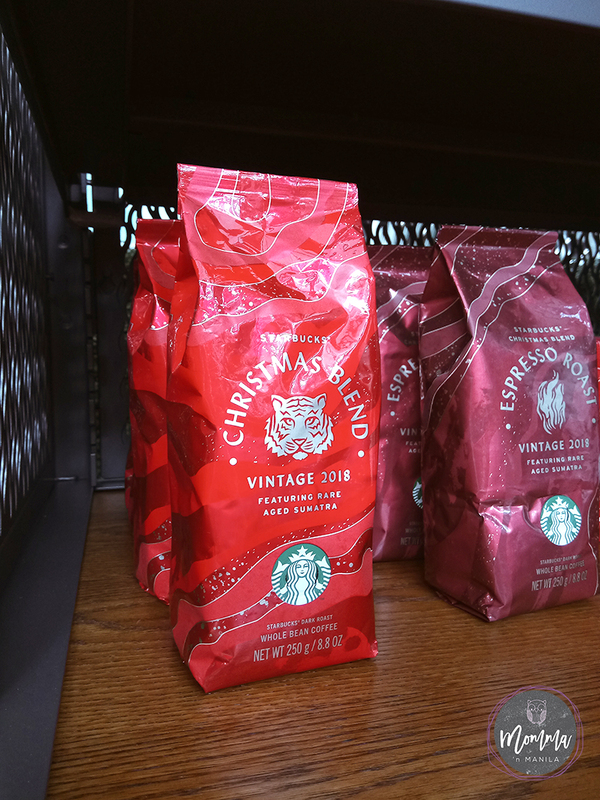 They’re also bringing back the Starbucks® Christmas Blend (₱495), Starbucks® Christmas Blend Espresso (₱495) for you to spread the holiday spirit to your home. 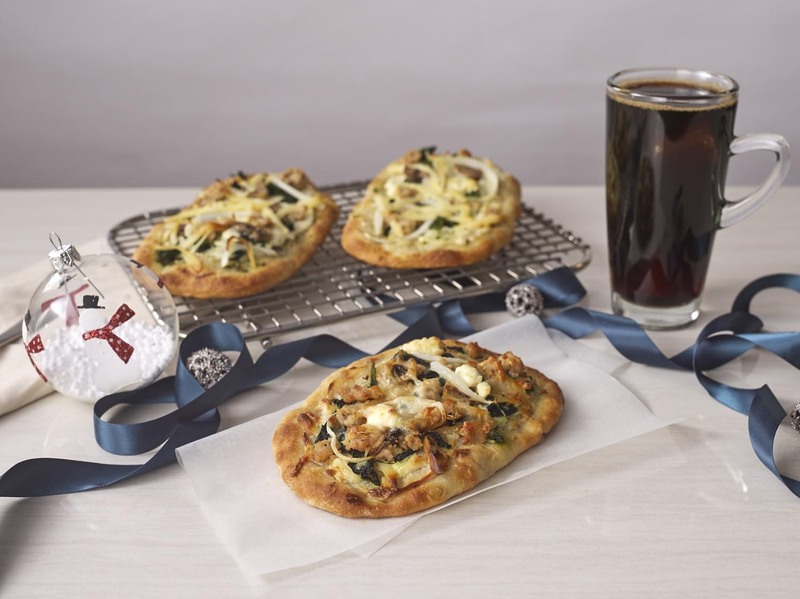 There’s a lot of festive eats Starbucks will release this coming November 2. 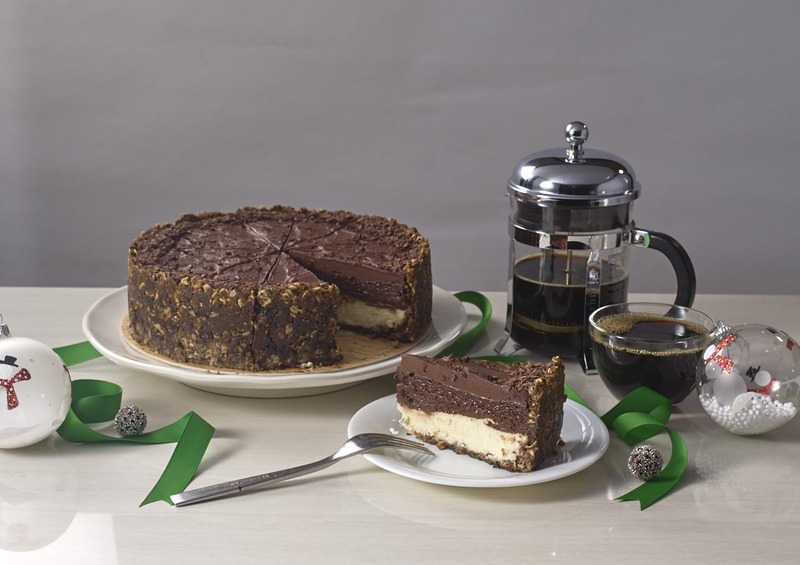 One of the sweets I get to try is the – Chocolate Oat Cheesecake. This is probably one of my faves in the Starbucks holiday menu. I mean, who doesn’t love chocolate?! It has the perfect creamy texture of dark chocolate and milk chocolate that kinda melts in your mouth. It’s not too much sweet because it has a layer of cheesecake in it. And it also has a chocolate oat crust that will make you feel you’re not on your cheat day. 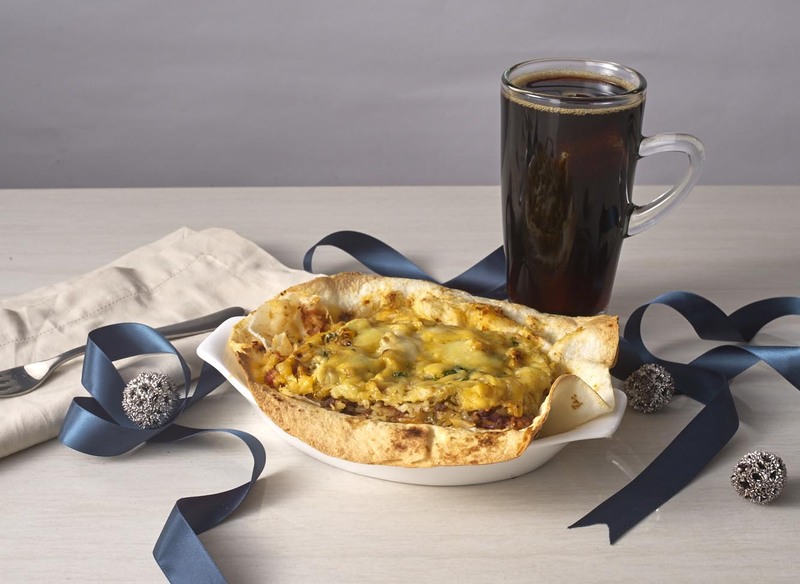 Starbucks Philippines also get us to try meaty servings such as the Cranberry Pistachio Turkey Flatbread loaded with chicken, turkey sausage, spinach and cheese, and the Baked Burrito filled with savory Mexican flavor rice. They present so much new stuff for this holiday. But they kept one a secret — the traditional HOLIDAY RED CUP! Let’s figure it all out on November 2, 2018!